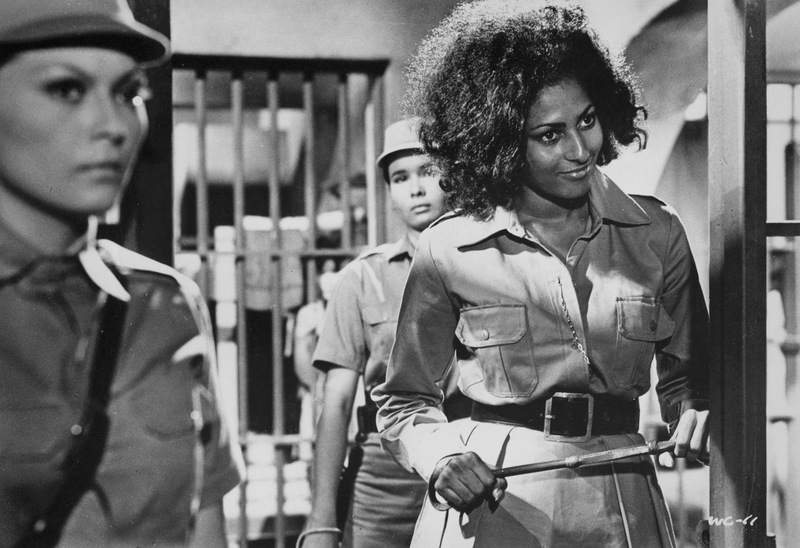 Women in Cages released in 1971 is one of the early examples of Women in Prison movies a style of film that became quite popular in the 70s before starting to fade away in the 80s like many exploitation films. While this one may not feature the violence and sleaze this type of film is known for it still succeeds on both levels. It’s not always about showing the most, but how it’s done. The original Texas Chainsaw Massacre is a great example of a movie that is really graphic yet features very little gore, but yet many recall gore scenes from the movie since it was done in such a graphic way you think you are seeing more than you actually are. Women in Cages may not be the holy grail of the WIP movie, but in my opinion it’s one of the essentials of this style of film. Women in Cages was produced by the legendary Roger Corman and if you’re a fan of his work you should know what to expect here. This film is from an era gone by and I really have a fondness for these films and the 70s rates as my favorite time for film of any genre, but the exploitation flick was just never the same after the 70s even if some good ones were produced in the 80s. Women in Cages only has a 4.3 rating on IMDb and while sure this isn’t exactly filmmaking at its very best it still has something to offer and what really makes this film for me is Pam Grier as the cruel Alabama. I’m a big fan of Pam Grier and this was a great performance and she looked stunning as well. Carol Jeffries (Gan) is an American woman staying in the Philippines and is sent to prison after being set up by her boyfriend Rudy (Charles Davis) on a drug charge. Carol kind of naive is subjected to extreme conditions in the prison run by the cruel Alabama (Grier). While in prison Rudy gives Stoke (Collins) her fix and in return he wants her to kill Carol. Tired of the harsh conditions Carol hatches a plan with her cell mates to attempt to escape from prison, which many have tried before, but all have thus far failed. The screenplay by James Watkins & David R. Osterhout is a lot of fun filled with entertaining characters and while most may not have a lot of depth they however for the most part add to the film. The plotting is fairly decent and I doubt people go into movies like Women in Cages for a deep and powerful script, but all things considered its a fairly well written exploitation film. Director Gerardo de Leon delivers a fairly well paced film though despite running at only 81-minutes there are a couple of sluggish moments. As I mentioned this isn’t the most graphic WIP film in terms of violence or sexuality, but it has a good amount of both. The film also sort of has a mean spirit behind it as well. The final act is where a bulk of the action scenes take place and while fun, De Leon doesn’t stage them as strongly as other films. Odds are Women in Cages would have been better off with someone like Jack Hill, but when all is said and done Gerardo de Leon delivers a fun and somewhat mean spirited film. Fans of 70s exploitation films and WIP films will no doubt recognize a good portion of the cast. While the writing for the characters like I said does lack depth, but the cast more than makes up for it. All the women are excellent in their roles however its Pam Grier as Alabama that elevates this film. I already mentioned Pam, but she deserves a ton of praise. This may not be Pam Grier’s best film, but a case can be made for this being her best performance. She’s a terrific and stunningly beautiful actress and she’s a joy to watch here. Overall Women in Cages is a solid WIP film and while not the holy grail of this genre I do think its an essential. With a great cast and a mean spirited tone make Women in Cages a fun film with a very downbeat closing shot.